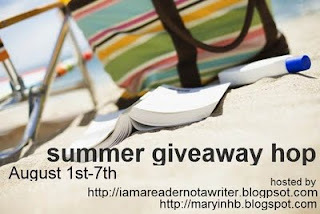 This hop is hosted by I am a Reader Not a Writer and Book Hounds/Forever YA ! I will be giving away three prizes on this hop. It is International. As long as you have an address that the Book Depository Ships to or access to a kindle app! 1. You must be 13 years of age to participate. If you fill out the form, you are stating that you are at least 13 years of age. 2. 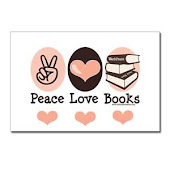 You must live in an area that the book depository ships to or have access to a kindle application. 3. You do not need to follow me, there will be no extra entries. You must fill out the form with your email address a in order to enter. 4. There will be a total of three winners. You may enter for any or all of the books, but you will only be able to win one. 5. Go to as many blogs as you can and enter as many contests that you can. The books that I have selected to give away this round are all ones that I have read and reviewed recently that I enjoyed. All were given at least four stars. They are all also YA books with a paranormal aspect. I will gift the winners with book on kindle from Amazon. Description from Goodreads: All Airel ever wanted to be was normal, to disappear into the crowd. But bloodlines can produce surprises, like sudden mysterious illness. Then there’s Michael Alexander, the new guy in school, who is impossibly gorgeous…and captivated by her. Somewhere in the back of her mind she can hear the sound of pages turning, and another, older story being written. It is the story of an ancient family, of great warriors, of the Sword of Light, and the struggle against an evil so terrible, so far-reaching, that it threatens everything she hopes for even now. Airel knew change would be inevitable as life went on. But can she hold on when murder and darkness begin to close in and take away everything she loves? Will she have what it takes when the truth is finally revealed? Piper’s world is dying. Global warming kills every living thing on Earth, and each day brings hotter temperatures and heat bubbles which threaten to destroy humanity. 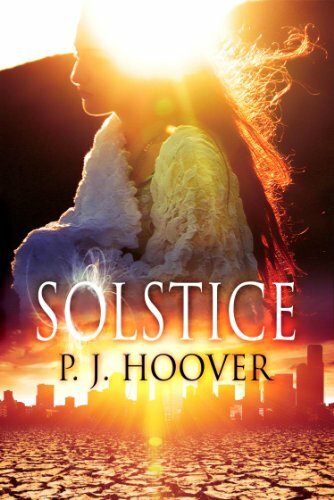 Amid this Global Heating Crisis, Piper lives with her mother who suffocates her more than the chaotic climate. When her mother is called away to meet the father Piper has been running from her entire life, Piper seizes an opportunity for freedom. But when Piper discovers a world of mythology she never knew existed, she realizes her world is not the only one in crisis. While Gods battle for control of the Underworld, Piper's life spirals into turmoil, and she struggles to find answers to secrets kept from her since birth. And though she’s drawn to her classmate Shayne, he may be more than he claims. Piper has to choose whom she can trust and how she can save the people she loves even if it means the end of everything she’s ever known. Ednah Walter's book "Betrayed" is on tour. Read an excerpt here! 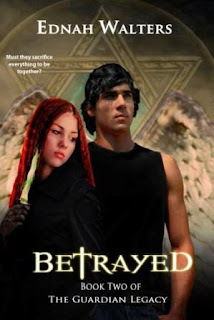 I am very happy and excited to be taking part in a blog tour for Ednah Walter's book "Betrayed". I absolutely loved the first book "Awakened". You can read my review... here! I also posted a character review....here! Through my interaction with Ednah I have found her to be a delightful person as well as a talented author. Today we can read an excerpt from the the second book in the Guardian Legacy. It is "Betrayed" and it is due for release on August 1st. For anyone who has eReading ability, you can pick up an eCopy now. I will post the links at the end of the excerpt. Stinging cold air replaced the warmth of the bed. I wrapped my arms around his neck as he shot up above the valley so fast everything grew hazy. Wind whipped his raven hair until it lay flat on his head, his powerful wings beating the air in a fast, smooth rhythm. I laughed. Brilliant way of cooling off. Who said I did? I buried my face against his neck and kissed his skin. Bran chuckled. Quit messing with my head or I’ll drop you. He wouldn’t. I dropped kisses along his jaw. He laughed aloud and claimed my lips. Frigid air tugged at my pajama bottoms and nipped at my socked feet but heated blood shot through my veins. We were high up, the lights from the valley and surrounding counties glistening like stars. It was a good thing our bodies adjusted to extreme temps, otherwise we’d be icicles. My report needed one more review before I could print it and I had school the next day, but it had been awhile since we went anywhere alone. “I want to watch a sunset, just the two of us,” I said. I tended to teleport with my eyes closed, but this time, I kept them open. All I saw were streaming swirls and streaks of light, then blue skies and brisk winds replaced the moonless night. Below us, clouds hugged the base of a mountain range. Bran landed smoothly on the summit of the tallest inactive volcanic crater. I glanced around the rocky terrain. Weird looking plants dotted the barren slopes. An empty parking lot and some buildings were visible off to our far right. “Where are we?” I looked around. My breath caught at the vibrant purple and orange hues streaking across the western sky. The landscape turned various shades of gold and red. I sunk against Bran’s chest and watched the sun float to the edge of the earth and sink out of sight. My eyes filled with tears as defiant daylight clung to the horizon. Bran pressed his lips to my temple and held me tighter. “Thank you.” Brilliant stars appeared in the eastern horizon. Happiness wrapped around my throat. If only this would last forever. “What are you talking about?” The seriousness in his tone and eyes had warning bells going off in my head. My heart fluttered with unease. The thought of the two of us apart sliced like a knife through my heart. I swallowed, panic coursing through me. “I promise,” I whispered in a shaky voice. There will be a release party on July 31 - August 1 (10 pm start and end time). You can win some goodies! Ednah's books will be available as well as some other great reads from Indie author's including: Jennifer Laurens, Jennifer Armentrout (ARCs of Half-Blood), Keary Taylor (Dystopian new release Eden) and more. Interested? Would you like to find out more about the book? Here are the other stops on the tour! July 24th - free day. 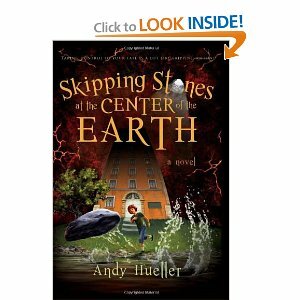 Interview with Andy Hueller author of "Skipping Stones at the Center of the Earth"
Today I am happy to participate in the "Skipping Stones at the Center of the Earth" blog tour set up through Cedar Fort Publishing. We have a character interview by the main character, Calvin Comet Cobble. He is a young man who has had a difficult life and is living in an orphanage at the center of the earth. To find out how that came to be, I would suggest that you grab a copy of the book and find out. :0) It is a middle grade novel that does not lack for imagination. You can see my review that was posted yesterday. Thanks Calvin and Andy for stopping by today! What were your first thoughts when you entered Hidden Shores Orphanage? Honestly, I didn’t know what to think. It was all so . . . unusual. I guess I still don’t really have any experience with a traditional family unit, but Hidden Shores still surprised me. The first person I saw, the one who met me as I dropped off the helicopter—that was Mr. Bruno. He walked me up to the front door and winked at me. scared and confused, more than anything. There is a lot of scrutiny and teasing about your hair. How do you view your hair problems? I’m not sure it was a choice. I honestly believe Hector would have killed me, if he would have gotten up and caught me. There was something about that day, too; it was MY day. I skipped a stone that morning, and I kicked Hector out of a tree. It seemed like there was no place for me back at the orphanage and if I was ever going to see what was really in the Shadow, that was the time. would you give others about facing fears? Hmm. I don’t like giving anyone else advice. I mean, what do I know? But what worked for me was to trust my instincts and trust my real friends. That will probably work for most people. I guess above everything else I know I’m an okay person and when I’m patient and honest with myself I usually know what’s right. Maybe we all know which fears are worth facing when we give ourselves time to think them through. Will we ever find out what happens to your dad? I don’t know. I’m waiting to find out myself. I hope everything works out and the whole world will know our story. Review of "Skipping Stones at the Center of the Earth"
My thoughts: The story takes place in an imaginary city at the center of the Earth. The story jumps back and forth from the present to twelve years earlier and the events that lead to the discovery of the center of the Earth. Cal lives in an orphanage. He is tormented about his red and unruly hair. He has few friends and references he doesn't understand are made about his father. He has never met and knows nothing about his father. He is only given the information that the people in the orphanage want him to know, and the "adults" at the orphanage are not the best influence's to have around. He is miserable. Life takes a turn for the better when Cal learns to skip stones and face his fears. I was amazed at the world that Andy Hueller came up with. There were times where I felt like scratching my head and asking how in the world did he come up with that? This book does not lack for creativity and I think that younger readers will really grasp his story and enjoy it. 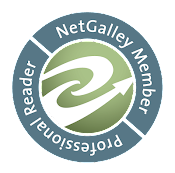 I received a copy from Netgalley to read. I am also participating in a blog tour for this book and will have a character interview posted tomorrow! Come back and learn more about the story. ~Open to a random page. This week my teaser comes from "Under a Fairy Moon" by T.M. Wallace. It's more than two sentences because my OCD won't let me leave the thought incomplete. Review to be posted on August 2nd. Description from Goodreads: Humans and dwarfs have been at odds for generations. When human blacksmith Davi is sent to the Dwarven King to reopen the local trade routes, he finds himself more at home with his enemies than he ever did with his own kind. Davi has the misfortune to not have friends and not be accepted in his human village. He is given a task by one of the leaders of the town he lives in to travel to the dwarves and open trade routes. Davi knows that the task he has been given is not for the benefit of the village, but to remove him from his land and from the village. Davi travels to see the King of the Dwaves. His pureness and the quality of his work with metal gain him entrance where others would not. He proves that he is a blacksmith of great ability and makes friends among the dwarves. He is considered an outsider and not worth the notice of many of the dwarven people, but eventually finds the love and acceptance that he was not given with people of his own race. Davi's tale is simply told. There is not a lot of embellishment. I enjoyed this factor in the book, it made following along as I was trying to learn names and customs different from the human form. I found the story lagged for me about 2/3 of the way through. It was a good story and had a great ethical message. This is a short novella that shares a great message. I received a copy to review from the author. 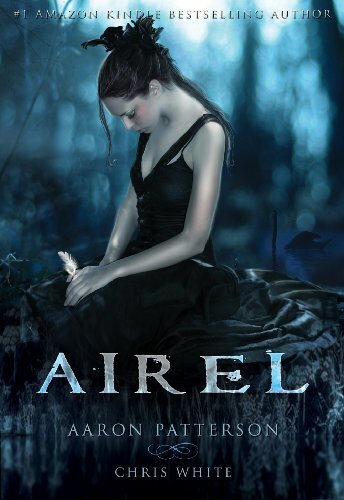 Airel would technically be classified as a YA book because one of the main characters is seventeen years old. There is another story unfolding about Kreios. This is more of an adult story. I would say that this is a book that can be enjoyed by all ages. Airel is a young woman who's life begins to change suddenly when a really cute boy moves into the school and her body begins to undergo changes that are abnormal. Then to top off everything she witnesses a murder and then she is stalked by the killer. She begins to fall into the obsessive love pattern that we see in many YA novels and also learn about who she is and her role in the universe. Kreios is a fallen angel. His story is told about his fall , the woman he loved, and their child. He is trying to preserve the lives of the rest of the Fallen Angels, their families, and his daughter. 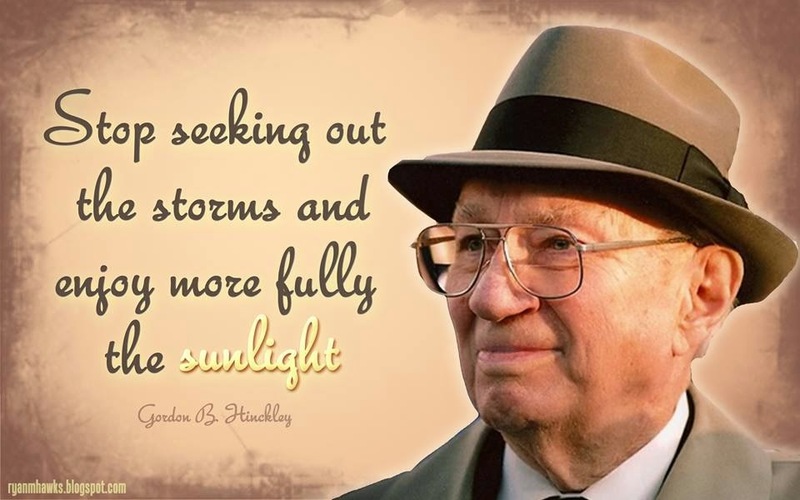 He fights evil to see the good prevail. 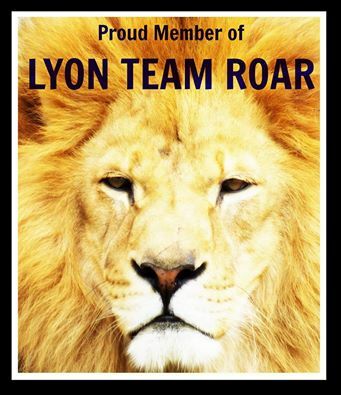 He is a leader and an inspirational character. Somewhere in the middle the two stories merge and the destinies of Kreios and Airel collide and become one. Airel learns what the true meaning of love is, and to be able to truly love she must be whole and healthy emotionally. I found the beginning of Airel's story to be trite and predictable. I was pleased that the author's turned the story around. It is definitely worth taking the time to read this story. I plan on reading the second, "Michael", and any that may come after. I had the opportunity to interview Aaron Patterson as part of a Pump Up Your Book blog tour. 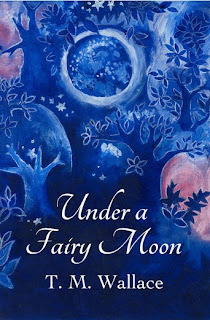 You can find my review here (Sorry, a winner has already been chosen for the giveaway portion). This book intrigued me so much that I purchased my own copy from Kindle. You can purchase it now on Kindle. The expected publication date is August 31st. 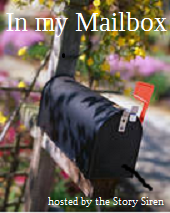 In my mailbox is hosted by The Story Siren. It's a way let other's know about the books that we receive and may not be able to get to quickly. It 's also fun to interact and get to know each other . I love to get ideas for books to read from the pages that I visit. I hope you see something fun or interesting to read here as well. I am very excited for some of the books that I received this week! I am linking the title of the book to the descriptions at Goodreads and listing the source where they came from after the author's name. My thoughts: I am like most people. I struggle to loose and maintain weight. 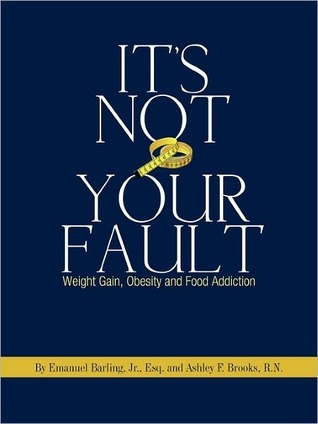 Every once in a while I like to pick up a book about loosing weight. I don't necessarily think that any one plan is "the plan." I was very interested in looking at this book because of my own history. Like I stated earlier, I don't believe in any one fix, or plan, but a combination of several. 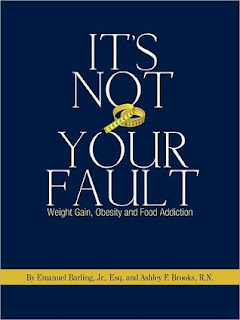 I think there are ideas in this book that bear a lot of weight in our struggle with food and food addictions. I think that the author's have done their own research, they state in the beginning that it is their own journey to loose weight and research that they use, not backed by the FDA. I will say that there are several points that I agree with. I received this book in exchange for a review. Description from Goodreads: Discover along with Titus Fisher how life can begin anew in Christian County, Kentucky. Moving from Pennsylvania, finding rewarding work, and leaving a broken romance behind is the best decision Titus ever made. But is he ready to consider love again when he meets two women: one who seems perfectly suited for any Amish man and one who challenges long held ideas of the woman’s role. Who will Titus choose, and will it be the right choice? This is the first Amish book that I have read. I admit that I was pleasantly surprised at how much I enjoyed it. I knew that the Amish are a people of great faith and live a simple lifestyle compared to the rest of the world. I was surprised at how much technology they actually use. That the amount allowed is under the direction of the local area religious leaders. I guess I live in a different region of the United States so that will be my excuse for being ignorant of their community. Titus is the main male character. He has had his heart broken by Pheobe and moves from Pennsylvania to Kentucky. There he begins to forge a life for himself partly to move from all reminders of Pheobe and partly to prove himself and an adult. He meets a couple of eligible young women, but doesn't feel ready to begin courting yet. Can I just say that I think it is refreshing to see the word "courting" used in a society that exists in our world today? Suzanne and Ester are best friends. One is interested in Titus at first, but realizes that they have nothing in common. Then the other begins to develop feelings for him. Let's not mention that Phoebe is still hanging around in the picture. I love the faith aspect of the book. I love that this is a clean romance that I would give to my mother in a heartbeat. I enjoyed Wanda E. Brunstetter's writing style. It is well written and easy to follow along with the story line. I liked seeing some of the words the Amish use in their daily life and then she explained them in the conversation without interrupting the flow of the story. I would definitely pick up another book of hers if I get the chance. 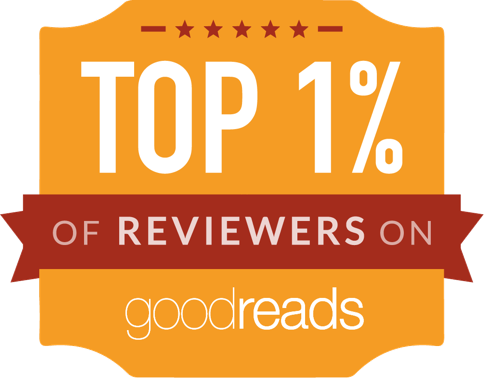 I am glad that I won it from the first reads program at Goodreads. Just wish that I would have been able to get to it a little sooner. Review of "The Last Golden Egg"
Description from Goodreads: Alexander is chosen to become the protector of the medieval King Andrew's golden egg that is thought to bring prosperity and contented, peacefulness over his realm. Alexander finds that his simple peasant life style changes dramatically. Will he remain true to his childhood virtue of honesty after being falsely accused? A three way pursuit of the egg catches innocent Alexander in the middle. How will his King come to learn the truth, that Clifford Clawfoot is really to blame? Or is he? Will the farm, forest, and ocean animals be able to rescue Alexander and the egg in time? What could happen if there was no egg? Written as a fable. It has a great moral and teaches honesty and friendship. This could be a great inspirational book for parents trying to help their children see the reward in being honest. A kingdom is prosperous because of their belief in a golden egg. The king grows old and can no longer care for the egg. He searches for and then hires an honest nine year old boy to take care of it for him. Alexander is a good boy whose best friends are a dog and a horse. The egg is stolen and his animal friends rally to help Alexander clear his name and find the egg. In the end everyone realizes that they were prosperous because of they way they treated each other and not because of an egg. There is a happily ever after appeal to this story. The idea behind the story is fabulous. But, I felt like it was drawn out to reach a certain number of words. I could hear the voice of the author. To me I could hear the expounding and the telling of the story, but I lost interest. I did continue to the end and loved the direction the story went, it just fell a little flat for me. The book is 28 pages long. son. Now a grandmother, she has finally fulfilled her dream of becoming an author. I almost forgot that it was Tuesday! 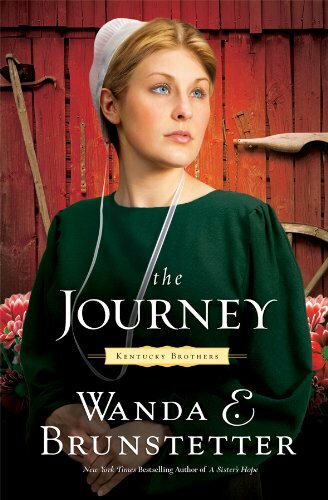 My teaser comes from "The Journey" by Wanda E. Brunstetter. It's an Amish romance, I have never read an Amish romance before, so it's been kind of interesting. Review of "Escape from Zobadak"
Interview with P.J. Hoover ~ author of "Solstice"
Review of "Chester Raccoon and the Big Bad Bully"
Review of "The Thirteenth Gift"